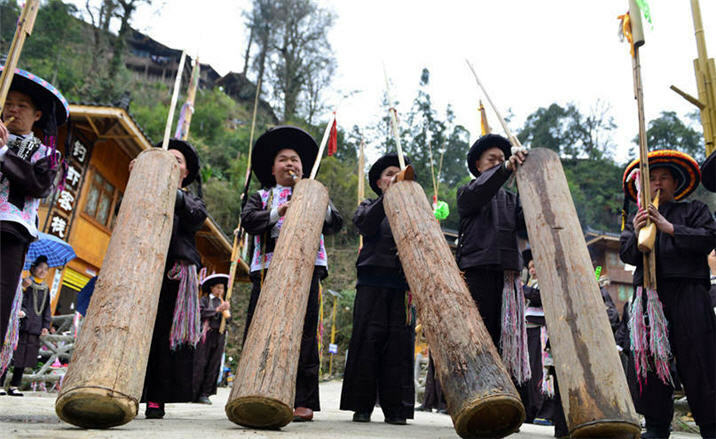 People of the Miao ethnic group held the Bridge Worship Festival on Feb 27 in Guizhou to pray to the ancient god of bridges for good fortune in the coming months. The annual festival is held on the second day of the second month of the Chinese lunar calendar. In Miao culture bridges symbolize the connection between mortals and deities, and it is believed the god of bridges can bless their children with a happy and healthy future. Nowadays the festival is much more than a blessing for children, and people usually dance and sing songs together wearing in traditional dress and expressing their best wishes for the coming days.